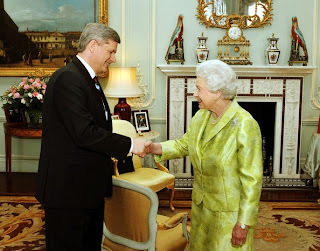 JUSTICE4CHILDREN:2019: Opinion: Canadian Prime Minister Stephen Harper. “It has been a pleasure to join Her Majesty The Queen, head of the Commonwealth, and other leaders of Commonwealth countries, to mark the 60th anniversary of this vital world institution. I should like to congratulate The Hon. Patrick Manning, Prime Minister of Trinidad and Tobago, for his country’s generous hospitality. “Throughout our meetings I stressed Canada’s strong support for the Commonwealth’s primary focus on its core competency: promoting democracy, good governance, human rights and the rule of law, principles that are in accord with our own. “I reiterated the need for all nations to ensure sustainable, balanced growth by continuing stimulus policies, fixing the global financial system, liberalizing trade and resisting protection. “We had a productive dialogue on climate change. We all recognized the urgency of taking action to minimize the adverse impacts of climate change. In particular, we recognized the threats to small island states, low-lying coastal states and the least-developed countries. “Those of us going to Copenhagen share a common understanding that we need to act together. “Canada is seeking a long-term international agreement where we all contribute to the solution. Such an agreement would also encourage the development and use of clean technologies while fostering the economic growth needed to pay for global warming mitigation.